As the festive mood grips each one of us, there is the unrelenting temptation to settle into the usual routine of buying Christmas turkey, selecting eccentric stuffing and inviting relatives over for dinner. Of course, sitting around a table in the beautiful glow of Christmas lights in a cozy indoor atmosphere is somewhat of a sacred American tradition that lends itself to much excitement and merry making. However, there is no reason why you shouldn’t break the ranks and consider an outdoor thanksgiving celebration, especially if you’re blessed with a patio. All you really need is a few tips from seasoned outdoor decor specialists. When the word thanksgiving is mentioned, colorful images flare up in the mind. 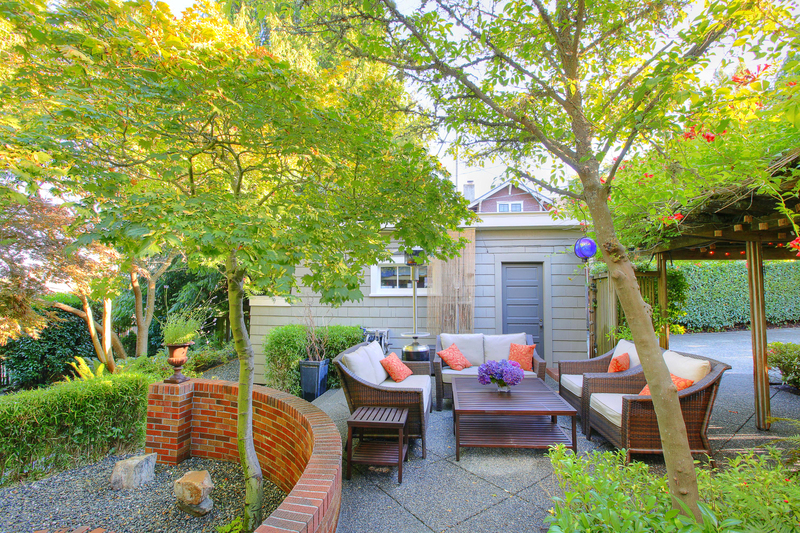 So quite naturally, your outdoor landscaping designs must exude vibrancy. Planting flowers like lilies and petunias, plants like sedum, and colorfully leafy plants like bronze and golden mums, is a great way to ‘implant’ effervescence to your walkways, porches and patios. Vines have a penchant of being all over the place, rambling over walls, fences, trellises and anything they can wrap themselves around. There are, however, some pretty delightful vines out there that actually bloom in a wide array of colours, like the clematis. The clematis vines bloom in purple, pink, red and the occasionally rare blue. Having these will surely add a touch of sophistication if that is what you seek to impart to your outdoor thanksgiving dinner party. There is nothing quite like a flower that gives off a sweet aroma by its mere presence. One particular flower that quickly comes to mind is the cranium. Not only are cranium lilies fragrant, but they are beautiful as well. Mow to Perfection. Make sure to mow your lawn and prune your shrubs and trees. When entertaining outdoors, you should ensure your yard is looking its best. Call Hidden Creek Landscaping to handle this task for you and free up more time to prep for entertaining your fellow outdoor lovers. Remain Cool. The summer heat is no joke and can quickly zap the energy out of both your guests and the party itself. Therefore, you should avoid hosting outdoor events between 3 p.m. and 6 p.m; during this time, the sun is at its hottest and very difficult to escape. You can opt for a brunch in the morning, a mixer late in the afternoon or host an evening dinner party on your beautifully manicured lawn. Even at these more ideal periods, the heat can be persistent. As such, you can provide guests with spritz bottles filled with iced water to cool their faces and arms. You should also ensure there are plenty of cold beverages to keep your guests hydrated. Provide Lots of Comfy Seating. Use cushions and pillows to cover your chairs, benches and sofas to make them extra comfortable. You can even get a few oversized pillows to throw on the grass to provide additional seating. Cluster the seating areas so guests will find it easy to mingle with each other. Having made these provisions, you can add mood music. However, it should be at a level that doesn’t interfere with conversations among guests. A patio is essentially an organized space that effortlessly combines the best of the outdoors with some of the comforts of inside. 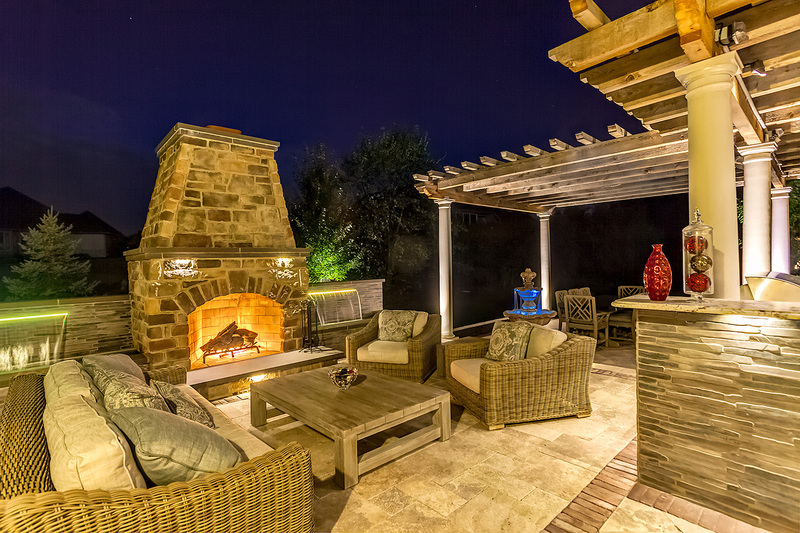 Patios can range from very simple to extremely elaborate. A few square feet of pavers can create a small patio or it could be a sprawling construction with gardens, walkways and even a swimming pool. Some patios can rival the nicest living room and can be a haven for outdoor lovers. Patios have a wide variety of designs and costs. 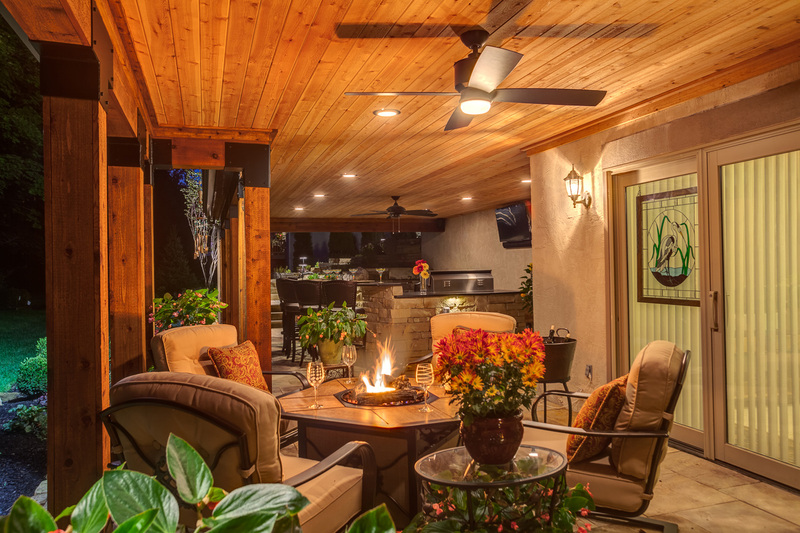 Whether you are planning on renovating or construction a patio, the budget will play a vital role in how it ultimately looks and functions. For best results, a professional landscaping company should be hired to undertake your patio project. These experts will ensure that your new patio matches or complements existing features of your property. They can also create 3D designs that will give you good idea of how the patio will look in your outdoor space. Best of all, they are able to give patio lovers professional advice and saving tips on how to get a dream patio in the future. 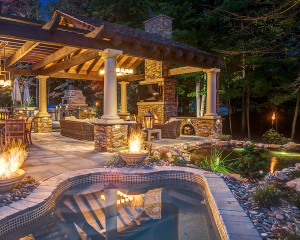 If budgetary restrictions are hindering you from having your dream patio constructed right now, you can figure out the estimated cost of the patio you desire and start saving for your future masterpiece. To make your dream a reality, it is important to figure out a few essential things. • You need to determine how the patio will be used; for example, will you be hosting large family gatherings or do you want to merely enjoy morning coffee alone or with a loved one? • The type of furniture you want to use on the patio should be considered as well. Will a bistro set be enough or do you prefer a large table to seat many people? Deciding on the furniture you would like to have will help you to better determine the right layout, shape and size for your patio. 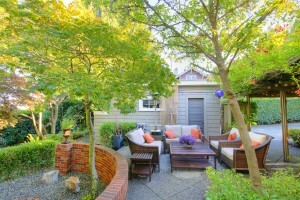 A landscape contractor has the capacity to assist you in determining the best patio for your budget and outdoor space. During the planning stage, they could even show you projects they have previously completed so you can have a better idea of what will work for your space. You could also get ideas from friends and family. Saving and putting your effort and time into proper planning with a professional will ensure the perfect patio for you.